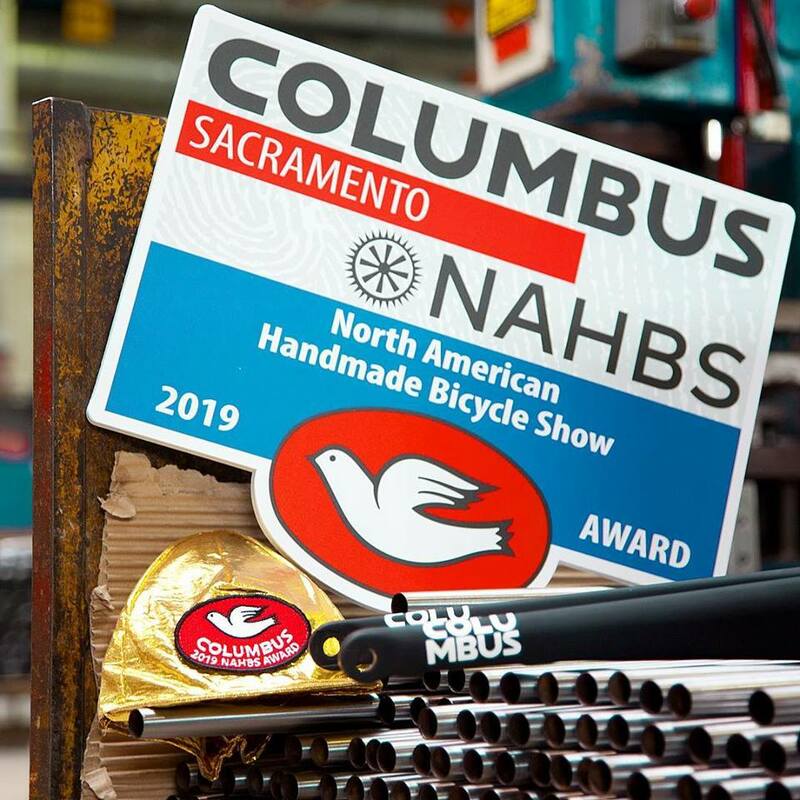 Columbus was well represented at this year’s North American Handbuilt Bicycle Show (NAHBS) in Sacramento, California, not only by a variety of domestic and foreign framebuilders, but by brand manager Frederico Stanzani who’s no stranger to the artisan framebuilding community on these shores. 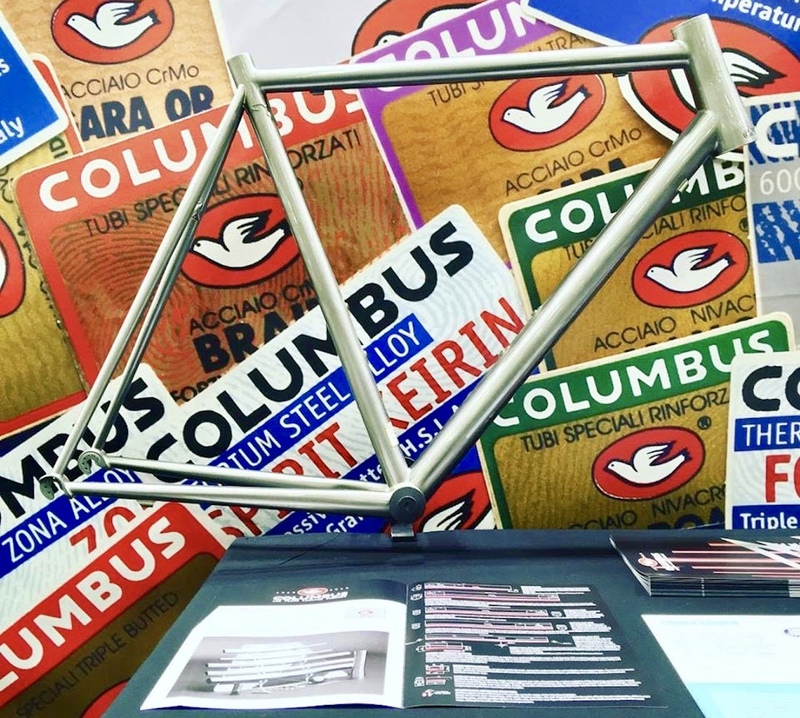 To celebrate its 100th anniversary, Columbus debuted its limited edition Cento tube set at NAHBS, highlighting its ability for tig welding and lugged steel construction, complete with its own special decal reminiscent of the vaunted Italian brand’s iconic transfers that still adorn many a Columbus built frame today. 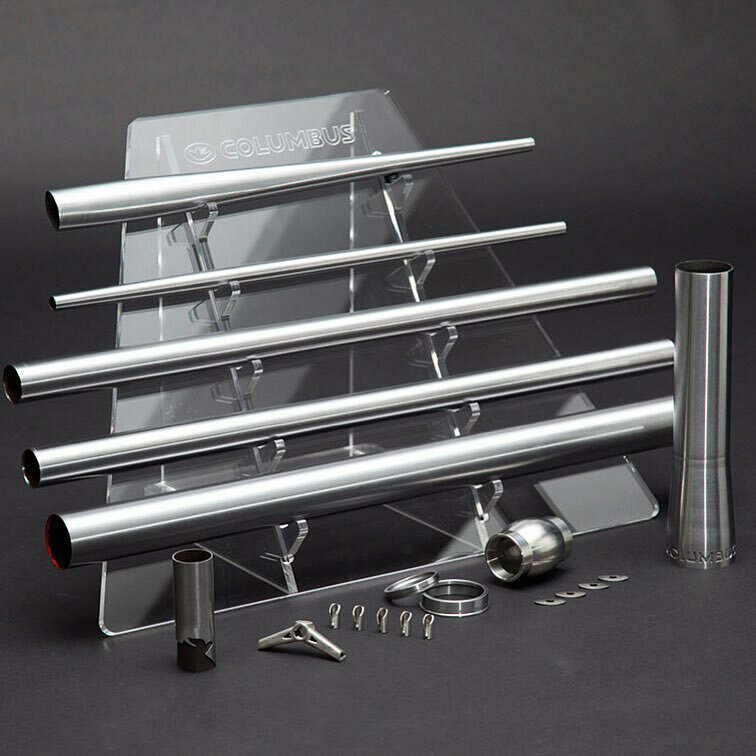 The new Cento tube set comprises Columbus’ Omnicrom steel, the company’s latest technology that’s only second to its top-of-the-line stainless steel XCR tubeset in terms of structural proficiency. The tubes are completely cold drawn and are sold as a complete kit consisting of three round main tubes, biconical seat stays and new tapered chain stays. The kit also includes a bulged bottom bracket shell, a set of dropouts, a modern headtube that tapers from 1 1/8 to 1 1/25 for use with an internal headset. Other features that punctuate the Cento tube set are a “teepee” styled brake bridge, braze on cable fittings and oval water bottle boss attachments that fit perfectly on the round seat and down tubes. Additionally, Columbus also incorporated a decorative but functional laser cut seat sleeve that slides over the top of the seattube to further reinforce the junction of the seat stays, top tube and seat tube in order to reinforce these keys of the frame that often incurred more stress than even the bottom bracket area. Moreover, the Cento’s metallurgy consists of a special low-carbon Chromium Molybdenum alloy with Vanadium steel that ensures better welding properties and a more predictable “behavior” during construction. “The robust profile of the Cento tube set mimics the look of many carbon frames, but with the reactivity and road feel that only a quality steel frame can impart to a rider”, says Columbus. Regarding suitable forks for the Cento, not surprisingly, Columbus recommends its own Futura fork that not only matches the taper of the headtube, but also has the mechanical properties to match the characteristics of the Omnicrom tubes. 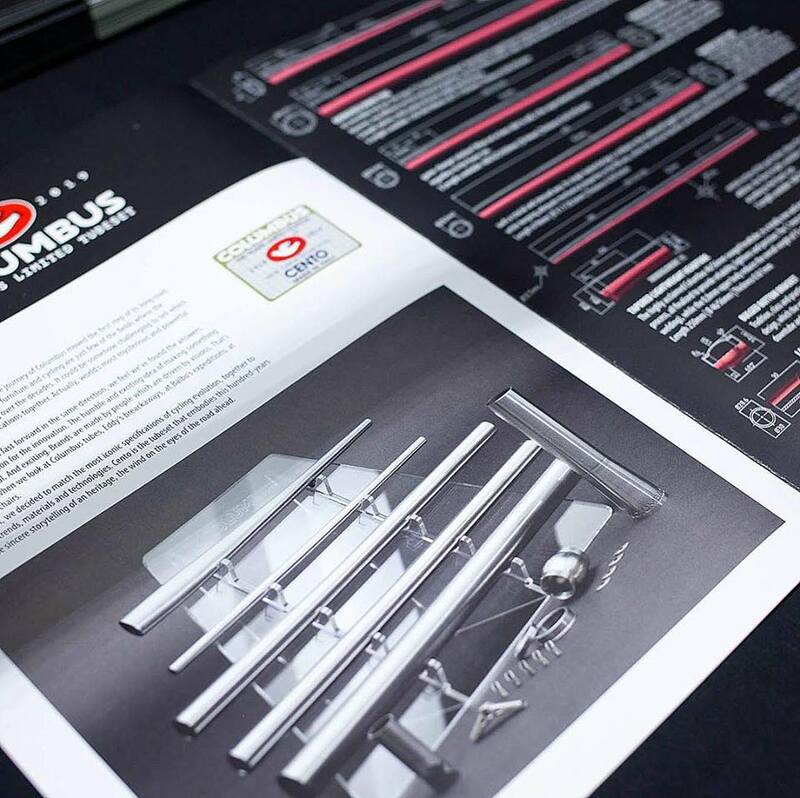 Columbus was tacit on the issue of whether a disc brake version of the Cento tube set will be released, implying that tradition in this case may supersede market trends. In any case, it will be interesting to see how individual framebuilders will personalize their Cento frameset in order to distinguish their work from others. But, certain that it is, there was plenty of enthusiasm on the part of both builders and spectators for the new tube set at NABHS.